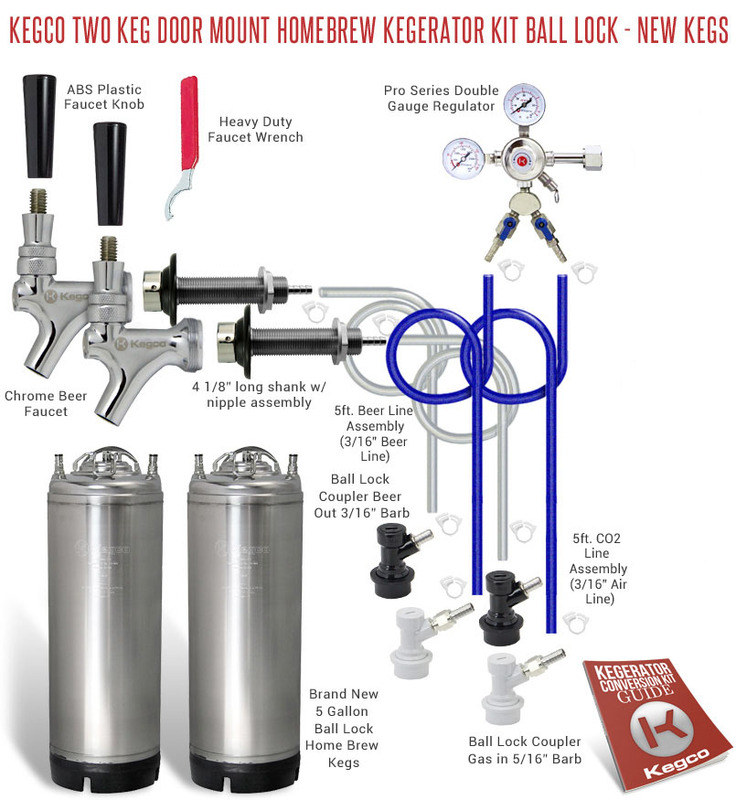 Homebrewers, ditch the endless bottling and save time and money with the hassle-free Kegco Door Mount Homebrew Kegerator Kit, which comes complete with two new ball lock kegs just waiting for your home brewed beer. This kit includes all of the high quality commercial-grade parts you'll need to convert a refrigerator or freezer into a high performance two product beer dispenser, including ball lock couplers and a pro series dual gauge regulator that allows you to easily monitor both the output pressure and the volume of CO2 left in your tank. With detailed assembly instructions included in every kit and knowledgeable product specialists on hand at 1-800-710-9939 for additional support, it is now easier than ever to make the switch from bottling your beer to enjoying it straight from the keg!